Streamer is a new way to visualize and understand water flow across America. 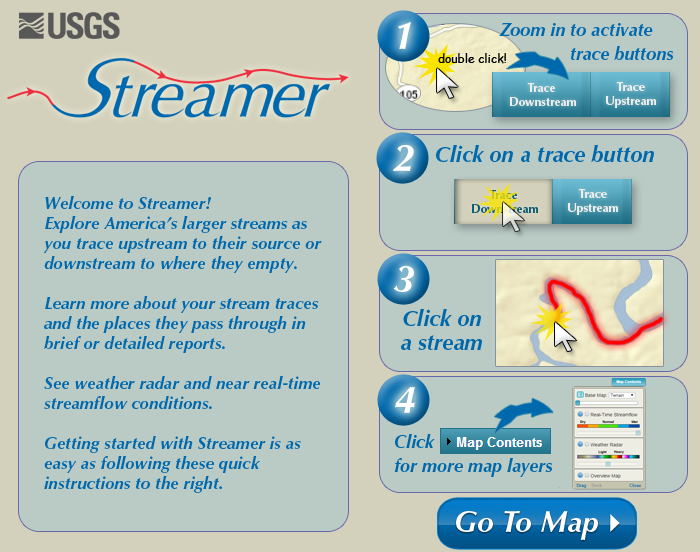 With Streamer you can explore our Nation's major streams by tracing upstream to their source or downstream to where they empty. In addition to making maps, Streamer creates reports about your stream traces and the places they pass through. Streamer is fueled by fundamental map data for the United States at one million-scale from The National Map Small Scale Collection.